Since the Oscars are soon coming up, I thought I'd go ahead and make this thread for discussion purposes. Oscars 2019: The Academy announces shortlist for ‘Best Visual Effects’. Interesting list. I can think of quite a few reasons for quite a few of those films to take the prize. If the Academy has any sense, Visual Effects is First Man's award to lose. I would also award it the prize for cinematography, and "The Landing" is almost worth a score Oscar on its own in my mind. The way Hurwitz paced that cue is just astonishing, and paired with the visuals its probably my favorite film sequence from 2018. BOTH VFX and Score are between First Man and Black Panther. READY PLAYER ONE and SOLO are the best in that category, IMO (but I haven't seen all of the films yet). I don’t think Solo should be nominated. Visually I thought it was too dark and murky to appreciate any of the already-unimpressive VFX work. Top three contenders for me are Infinity War, First Man, and Ready Player One. 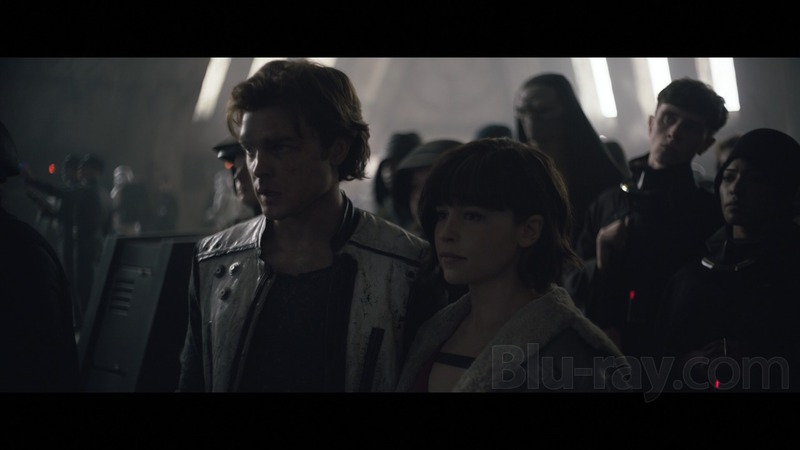 SOLO is fantastic -- an organic extension of the universe and the production design without drawing attention to itself. 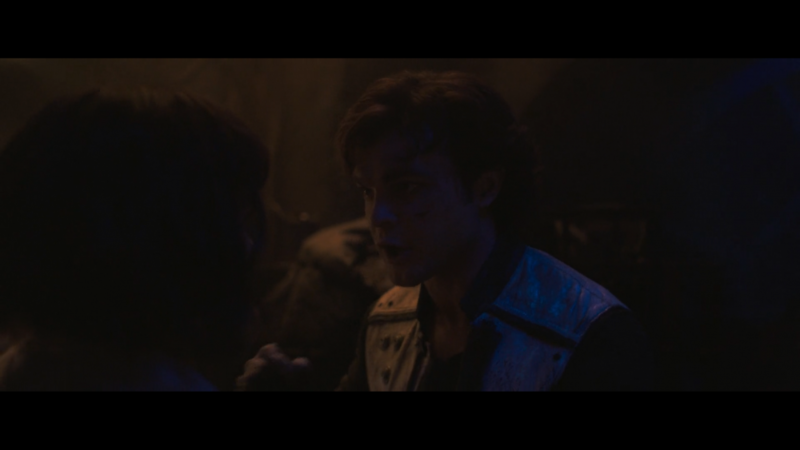 Ehhh, I thought the VFX in Solo were really good, if a little dark. The Train Heist scene was visually perfect, and that must have been one hell of a VFX challenge. Really not sure why Black Panther was nominated though, the entire final battle section looked really, really awful. It looked like a mix between the Windows 90s desktop theme and the battle on Naboo from TPM! Yes! The train heist scene is visually perfect. And some stellar camera work! Such a shame the film is overall a visual mess. One of the worst DI jobs I think I've ever seen, up there with Alien vs Predator Requiem. Quite the contrary. One of the most consistent genre films in recent years in terms of visual look and narrative focus. 4th best movie of the year. Yeah, it's consistently bland, flat and too dark. I don't know what people are going on about, re: 'too dark'. The black balance was perfect in both of the screenings I attended here in Norway (two different cinemas), with beautiful shades of grey, blue and steel. Gorgeous. It's not the bright colour spectacle of the traditional STAR WARS movies, but that was never the intention either. This is a very different type of experience of the STAR WARS universe. All these are line deliveries, by the way, not moody establishing shots. This is a very different type of experience of the STAR WARS universe. You mean having the entire film shot in such a way you can't tell what's going on? By lighting the backgrounds brighter than the subject matter (the characters) so your eyes are fatigued focusing on murky shadows and shadowy objects? Combined with the handheld/shaky-cam approach, just to add to the visual fatigue. Yep, definitely a different type of experience from your usual Star Wars movie! Makes me yearn for the days of Gareth Edwards. Again, that didn't come across in the screenings I attended at all. It's a film that is deliberately shot darker than the other films in the series, but done in a beautiful way (the images above do not do it justice, btw), with great use of back light and other light sources playing on the shades of black, grey and blue. Much like Kaminski's work on WAR OF THE WORLDS. While I like both THE LAST JEDI and ROGUE ONE, I found this to be a far better film -- both visually and content-wise. On the level of FORCE AWAKENS. I agree with @crumbs: visually, SOLO is a mess, and a trial. @Thor, you want "darker"? Try 2010. Even the suits at MGM told Hyams that it was too dark. I have no issues with 2010 either. A film where the black balance got all wrong is the lame Norwegian horror HUSET [THE HOUSE] from 2016. I'm with @Thor on this. Solo looks fine to me. It's different, but I had no issues while watching it in the theater (haven't watched my Blu-Ray yet though, could be a bad transfer). And come on, besides the score, the main thing Solo has going for it IS it's visuals. 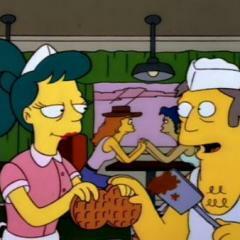 It's a beautiful film, hardly what I'd call a mess. Also, hard to take criticisms seriously when the complaints sound like they're from a student straight out of a 101 class in film school like: "No back-lighting, no separation between objects". The rules are there to be broken sometimes. Lines of dialog don't have to be perfectly lit. Not every shot has to pass through those rules, and if that was the case then why bother having a creative role for lightning. Just light it to check a bunch of boxes and get on with it. 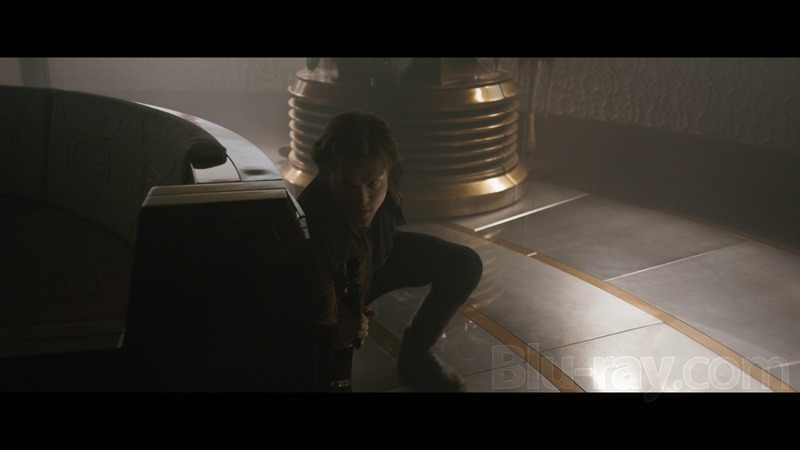 If anything, I appreciate Solo's very naturalistic lighting (which is what it is). Seems to be consistent throughout the film. Therefore it must be a stylistic choice. Granted, if that style is not your thing, then that's one thing. But I'd hardly chalk it up to incompetence. It's all clearly very intentional. I dig it, personally. 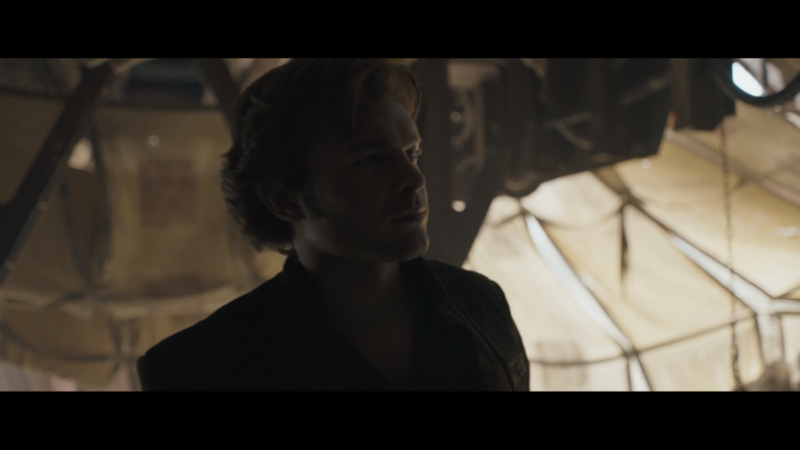 If anything﻿, I appreciate Solo's very naturalistic lighting﻿ (which is what it is). Seems to be consistent throughout the film. 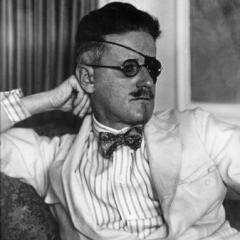 Therefore it must be a stylistic choice. Granted, if that style is not your thing, then that's one thing. But I'd hardly chalk it up to incompetence. It's all clearly very intentional. I dig it, personally. Definitely a failure of execution in the case of Solo. If there's one thing I learnt from the Bluray extras, it's that it's the same case as with the Yates Potters: the production design put their heart and soul into a lot of the sets, filling it with life, interest and non-obtrusive little winks, and once again along comes the cinematography or digital grade to completely obscure about 95% of it. Also, hard to take criticisms seriously when the complaints sound like they're from a student straight out of a 101 class in film school like: "No back-lighting, no separation between objects". Did he really say that, i.e. 'no back lighting'? If anything, it's full of it. In fact, I wouldn't be surprised if Bradford Young has had more than a glimpse or two at the Janusz Kaminski "school" of cinematography. 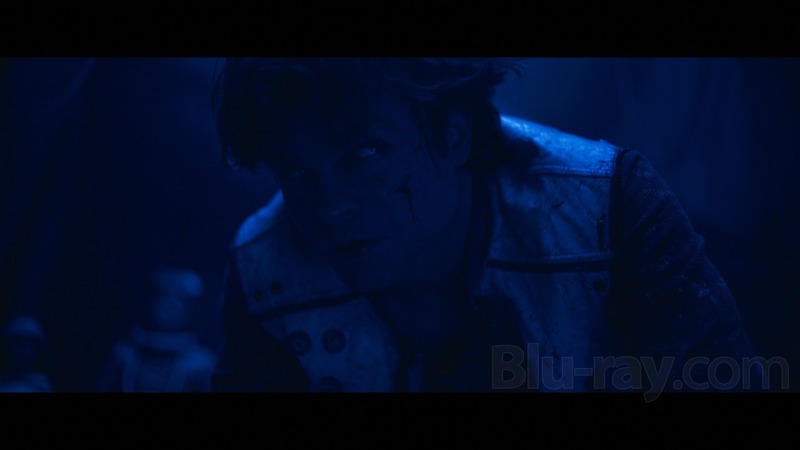 In general, I'm absolutely flabbergasted by the negative response to SOLO (especially in the fan community). It's as if they've seen a completely different film than I have, or have been unable to separate themselves from the official series and its looks and content. One of the criticisms I saw above was indeed that a shot didn't have a backlight to separate the subject from the background. Which is not an indication of failure or bad cinematography. This another one I saw here: "What should be the the focal point of shots is often the darkest object in frame/shrouded in shadow". People do realize that sometimes by having something in shadow it can still be the focus of the shot right? An object being dark does not automatically mean that your eye isn't drawn to it. Absolutely agreed on the rest of your post. Even plot and acting-wise, what I saw was far better than what everyone is saying. Not to say it was spectacular, but it's not god-awful. It was fine. I had fun. 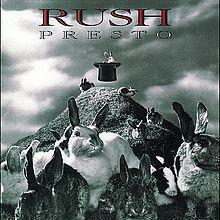 I enjoyed the film, and I thought it was beautifully shot. Are these screens directly from the Blu-Ray? Because that particular still does look darker than what I recall seeing in theaters. As I said, perhaps it's a bad transfer. Wouldn't be the first time. All the other stills I've seen posted though look absolutely fine. So who can say. This is the only one I'd deem a bit too dark. Again though. You're claiming it's a failure of execution. I'd disagree. I'd say they executed what they intended. I'll give the film another watch this weekend and let you know what I think of the transfer. But I will say. 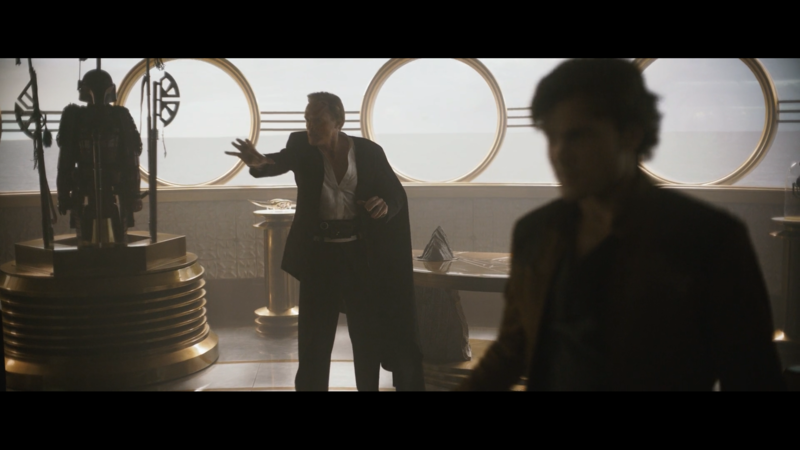 Of those two shots, I'm definitely more interested in the one from Solo. I'd say the top one is what I'd refer to as "flat". Solo isn't "flat"
Indeed. The pictures posted here do NOT do the film service. Also, comparing BARRY LYNDON(?) to SOLO is not really a fair comparison. 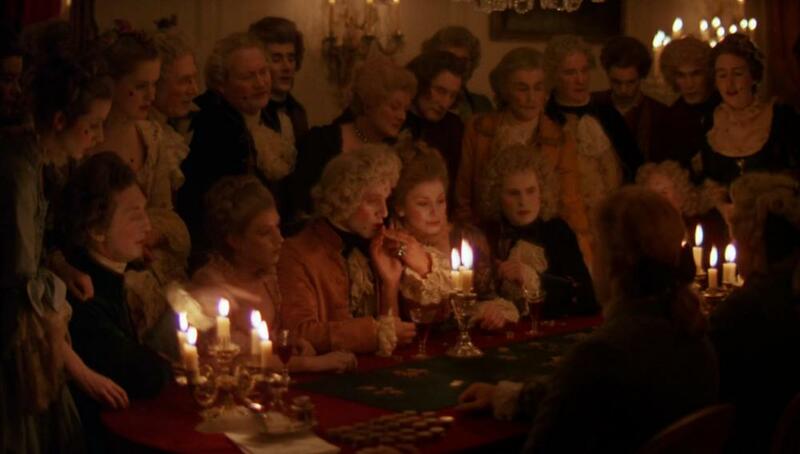 BARRY LYNDON is one of the most gorgeous films of all time. 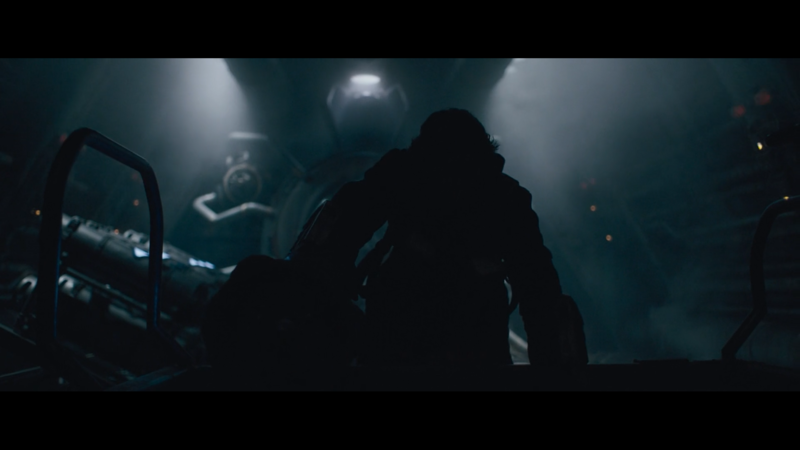 Solo looked very dark in the cinema. The two things I did with the friend I watched it in the cinema with was squint to make out who's onscreen and check our watches. I say this both as somebody who was able to clearly see all of Solo in theaters, and as a former movie theater projectionist/manager: the big issue here is at the projector. Issues related to dimming bulbs, necessary regular adjustments via maintenance, etc. which are present but would not be as noticeable in a brightly lit Avengers movie, but which really impede the films in situations like this. If your theaters don't have their own trained/skilled projectionist who knows how to handle that maintenance, they should at least keep up with their regular and routine tech visits. BARRY LYNDON is one of the most gorgeous films of all time. It's my favourite film to feature colour cinematography. John Alcott really outdid himself. Every single shot is breathtakingly beautiful. Well damn. 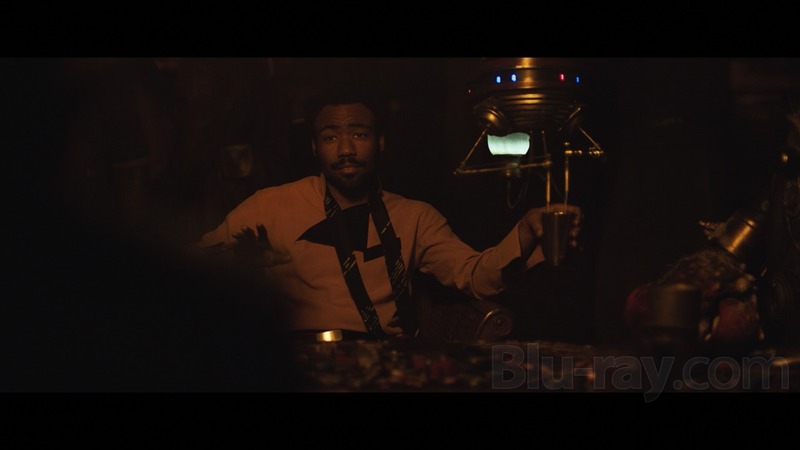 I feel bad for those who couldn't really see Solo. Whatever I saw at my theater was beautiful. I left the theatre with a bag of popcorn and a whole lot of fun. 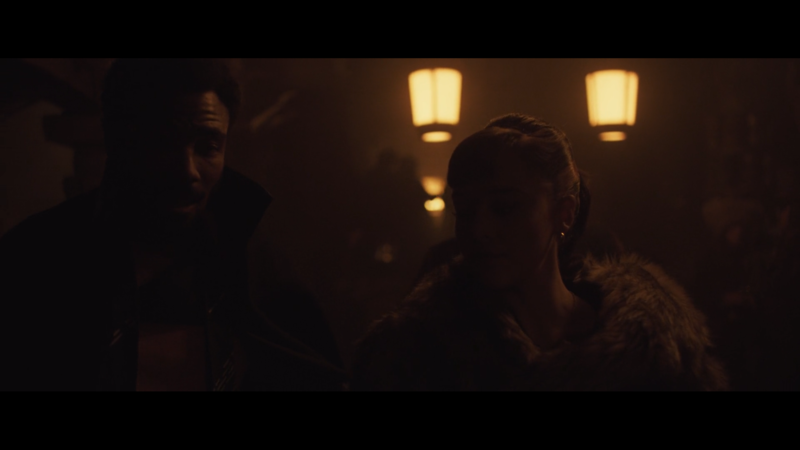 I think SOLO was a good opportunity for regular movie-goers to be able to empathize with low-vision people. You didn’t finish your popcorn? Fun fact: I hardly ever do. And if I do I pick up another bag for home. what I saw was far better than what everyone is saying. Not to say it was spectacular, but it's not god-awful. It was fine. Very few people said it was god-awful. So why does it look like incomprehensible darkness on Netflix? Geez, really? 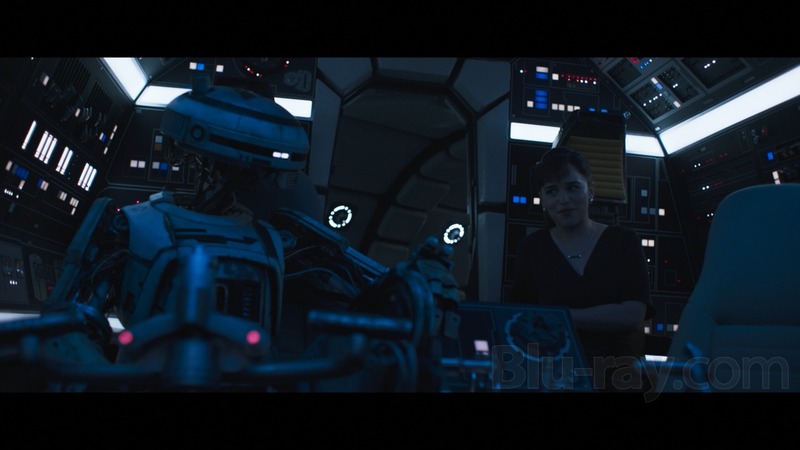 I haven’t seen it since theaters, but you’d think they’d heed criticism towards the cinematography and turn up the brightness a bit for the home release. Geez, really? I haven’t seen it since theaters, but you’d think they’d heed criticism towards the cinematography and up the brightness a bit for the home release. That would require giving a rat's arse about the movie. 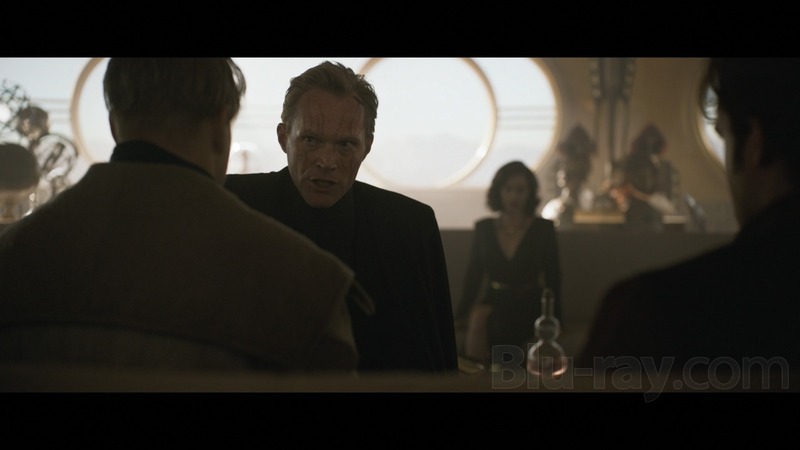 Disney's well moved on to the next potential money maker to bother remembering Solo. 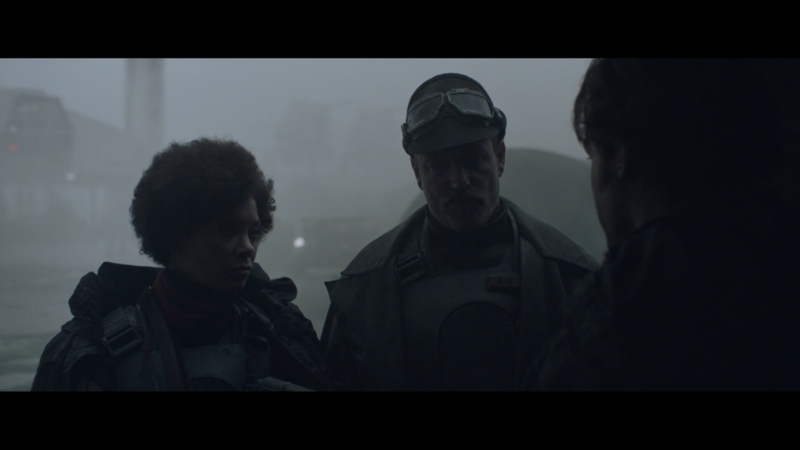 I mean, I’m typically against revisions for home release, but I think Solo would 100% benefit from a bit more life and color. The blacks are crushed, you can't reveal more detail from nothing. Anyone else think Solo's the only Star Wars album worth owning? There's little highlights with the Williams (and even the Giacchino) scores, but nothing that makes me want to own the CD's. Solo hooks me with Corellia Chase every dang time and I always just have to listen to the rest of the album! 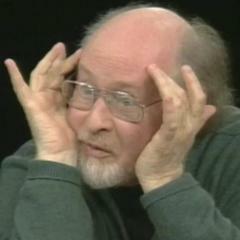 With every Star Wars score preceding it, my ears tune out after the main fanfare and I get bored and want to put on something else. Anyone else think Solo's the only Star Wars album worth owning? They are all worth owning. Except Rogue One. I own Rogue One. 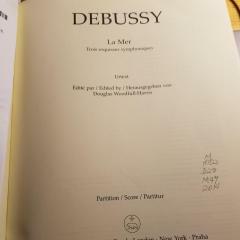 It's my least favourite SW score. I like it. I own it. That is that. I do not want to argue about it. Case closed. Saying you don't want to argue about it guarantees a debate will ensue. The debate as to whether Rogue One has merit is a more compelling one than the shabby Oscars! Of course. It's JW Fan. Forget it, Jake. It's JWfan. It's Jerry, but that's okay.